This is particularly relevant in times of massification of higher education. Stimulating supply and demand for high-quality open education is essential for modernising education. If universities really want to find more resources to invest in better teaching and research, it is essential that the open sharing of resources is encouraged. Knowledge must be shared and spread, teachers inspired to network and collaborate on course development, and institutions discouraged from fragmentation and a silo mentality. Furthermore, Open Education can be a catalyst for teaching and learning innovation. For example, in terms of access to learning, institutions which embrace Open Education are pushed to think further about supporting the adaptation of courses to special needs (for example, students with special needs). They can, therefore, widen up their reach and increase the opportunities for participation in education. An example of how OER can be used to increase learning accessibility is https://opentextbc.ca/accessibilitytoolkit/. The idea of free and open sharing in education is not new. 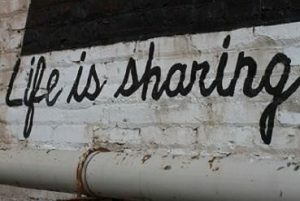 In fact, sharing is probably the most basic characteristic of education: education is sharing knowledge and information with others, upon which new knowledge, skills, ideas and understanding can be built (https://www.oeconsortium.org/about-oec/). Through Open Educational approaches, students can get additional information, perspectives and materials to help them to succeed. Workers can learn new things that could help them in their current employment, or retrain to get new skills that might help them undertake a career change. Faculty can draw on resources from all around the world, researchers can share data and develop new networks, and teachers can find new ways to help students learn. Increased availability of high quality, relevant learning materials can contribute to more productive students and educators. Removing restrictions around copying resources can reduce the cost of accessing educational materials; in many systems, royalty payments for textbooks and other educational materials constitute a significant proportion of the overall cost of education (http://wikieducator.org/A_Basic_Guide_for_OER/A_Basic_Guide_to_Open_Educational_Resources:_FAQ). Having the possibility of adapting existing of materials provides one mechanism for constructing roles for students as active participants in educational processes, who learn by doing and creating, not by passively reading and absorbing. Content licences that encourage activity and creation by students through re-use and adaptation of that content can make a significant contribution to creating more effective learning environments. We can identify the benefits for each of those involved in using Open Education approaches – the learners, the organisation and the educators.